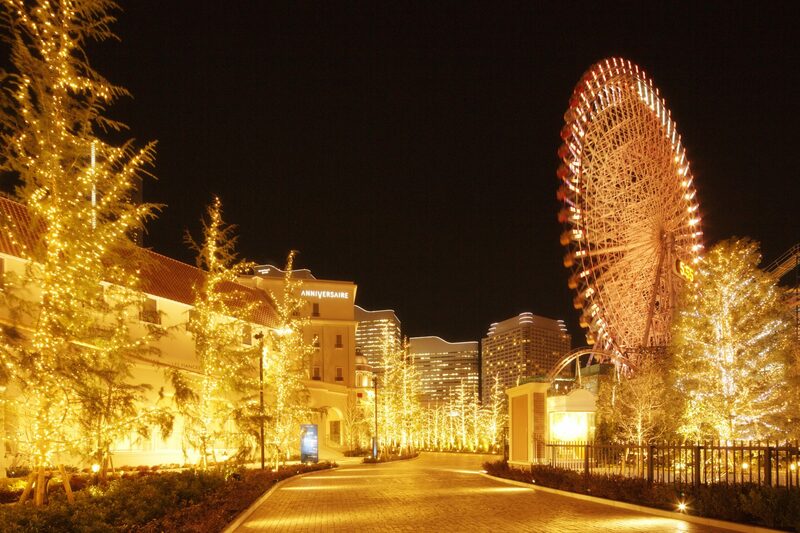 A wedding ceremony hall in the center of Minatomirai. Dreamy atmosphere with about 60,000 light-bomb illumination. A very popular night viewing spot to see around the high scrapers like Landmark Tower where you can spend at some open cafes beside the sea.